We liked the location(saw the northern lights there). Cosy and quite place. Fully equipped kitchen. Easy access to the peninsula. Good view of Northern Lights. Perfect Perfect Perfect. Stayed here for one night with a group of 8 friends. 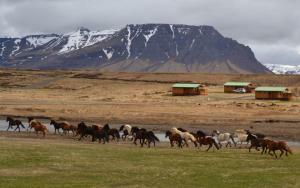 We traveled from the golden circle area, had dinner on the way and explored the sneffels peninsula after checking in. Nice comfortable house. Clean modern bathroom. Fully equipped kitchen. Location. We wanted to be close to the Snaefellsnes Peninsula, so we did not have to drive back to Reykjavik that night. Cabin was nice comfortable. Ample space for 4 people to relax. Fully functional kitchen made it easy to cook dinner. Beautiful and unique place. We loved the hot tub and visiting the farm animals. Good location for touring the Snafellsnes peninsula. The farm location was great, you can walk to the ocean or to a volcano crater!! Lots of bird life, and farm activity. It was a great location for exploring Snaefellsnes peninsula. Lock in a great price for Snorrastadir Farm Holidays – rated 8.5 by recent guests! 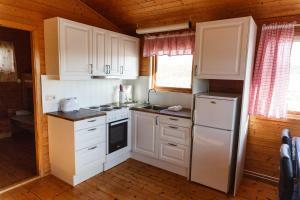 Snorrastadir Farm Holidays offer self-catering vacation homes located in Rauðamelur. This property is set in the unique Icelandic nature and offers inspiring landscape views. Each house will provide you with a full kitchen, seating areas with a TV and a terrace. Other facilities include a private bathroom with shower and free WiFi. 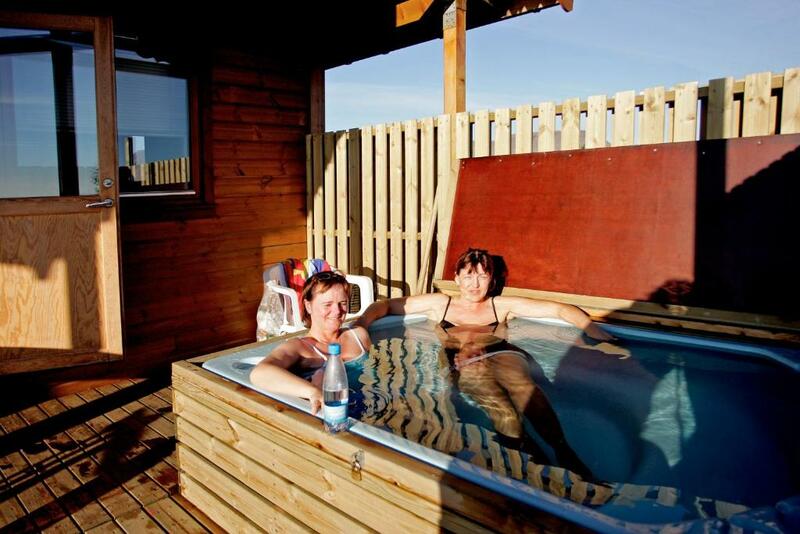 At Snorrastadir Farm Holidays you will find a hot tub, a garden and barbecue facilities. An array of activities can be enjoyed on site or in the surroundings, including horse riding and hiking. 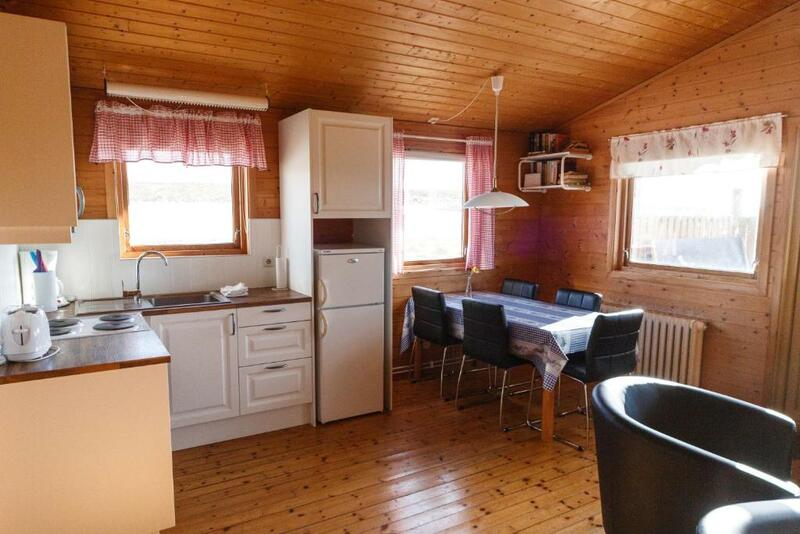 This holiday home is 2 hours by car from Keflavik International Airport. 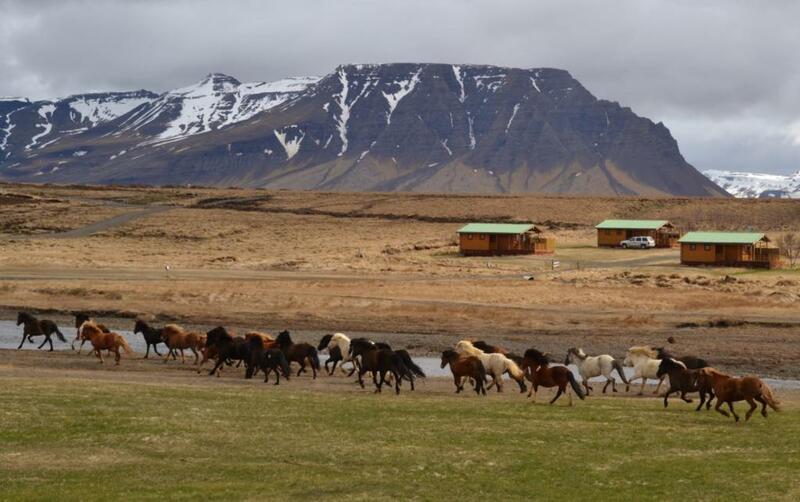 This property also has one of the top-rated locations in Rauðamelur! Guests are happier about it compared to other properties in the area. This property is also rated for the best value in Rauðamelur! Guests are getting more for their money when compared to other properties in this city. 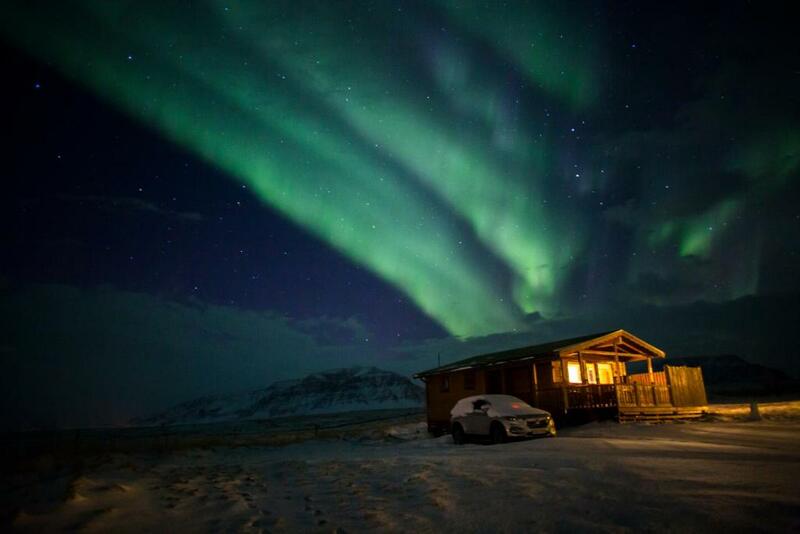 When would you like to stay at Snorrastadir Farm Holidays? 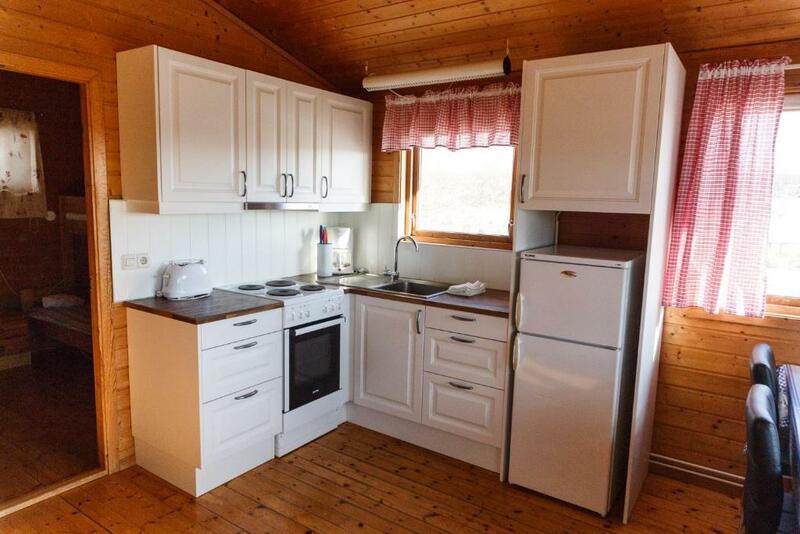 This bungalow features a barbecue, view and microwave. 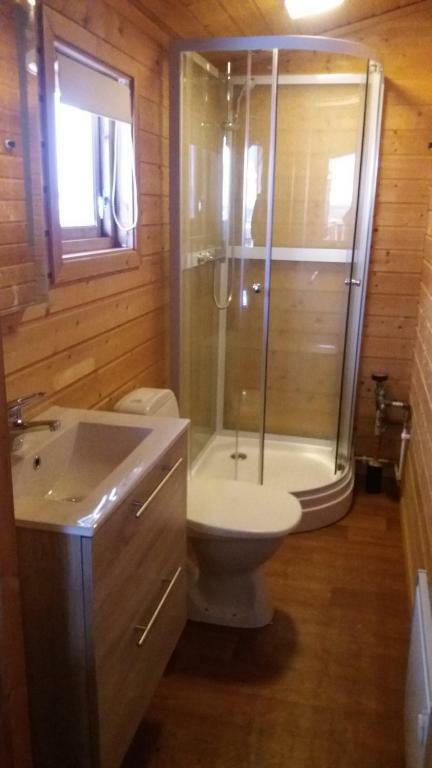 This holiday home features a sofa, DVD player and toaster. Þetta er fjölskyldu fyrirtæki, fjölskyldan mín hefur verið hérna síðan árið 1883 (í 130 ár). Alla tíð síðan hefur verið búið með kýr, kindur og hesta. Árið 1992 byrjum við síðan með ferðaþjónustuna og byggjum fjóra bústaði, síðan hefur verið bætt aðeins við. Hvert hús er með tveimur herbergjum og gisting fyrir 5 manns. í Febrúar 2016 voru síðan eldhúsinnréttingarnar endurnýjaðar í öllum húsunum. Heitur pottur er við hvert hús. Við erum aðeins 95 km frá Reykjavík. Stutt er út á Snæfellsnes einnig upp í Borgarfjörð t.d. 75 km til Stykkishólms og líka til Reykholts. Ég heiti Branddís Margrét Hauksdóttir og er fædd 1972 og er gift, maðurinn minn heitir Kristján Ágúst Magnússon (1972) og eigum við fjögur börn. Magnús fæddur 1994, Ingibjörg fædd 1996, Kristín Ósk fædd 2005 (dáin) og Friðjón Haukur fæddur 2007. Mín helstu áhugamál eru hestar og söngur. Ég hef alltaf haft gaman af hestum og síðan ferðaþjónustan fór á stað hjá okkur árið 1992 hefur verið rekin hestaleiga hérna. Söngurinn hefur verið meira núna seinni árin og hef ég verið í kórum og stundað smá nám í söng líka. Maðurinn minn hefur einnig stundað þetta með mér. Meira segja eru börnin okkar líka mikið að syngja. Okkar nánasta umhverfi er afar áhugavert, t.d eldgígar, stuðlaberg,fjörur,heitar nátturlegar laugar, Snæfellsjökull og fleira. Á jörðinni okkar Snorrastöðum stendur eitt fallegasta nátturundur á Snæfellsnesi, eldgígurinn Eldborg 100 mertra há og 60 metra djúp. Hægt er að ganga á hana frá Snorrastöðum c.a. 40 mínutur uppá hana.Einnig er barnaborgir hér í sveit, sem er einnig eldgígur. Stutt frá okkur er stuðlaberg (Gerðuberg) . Héðan af hlaðinu blasir við fallegur fjallahringur með Fagraskógarfjall og Kolbeinsstaðafjall næst okkur. Eftir 20 mínútna göngutúr eru gestir komnir niður að fjöru. Hægt er að skoða seli ef keyrt út á Snæfellsnes að bæ sem heitir Ytri Tunga. Það eru margir áhugaverðir staðir eftir c.a klukkutíma bíltúr frá okkur t.d. Reykhlolt,Deildartunga,Barnafossar,Búðir,Arnarstapi,Snæfellsjökull,Bjarnarhöfn og fleira og fleira. House Rules Snorrastadir Farm Holidays takes special requests – add in the next step! Snorrastadir Farm Holidays accepts these cards and reserves the right to temporarily hold an amount prior to arrival. Hot tub wasn't hot :(, but everything else was fine. Everything in the holiday house has exceeded our expectations. The rooms were impecable clean, we had even a barbeque, a hot tub and a TV. The kitchen is equiped with everything you need for cooking and warming up food. We only regret that we did not book one or two more nights here. This holiday house will definetely be on our list when we will return to Iceland. Hot tub was cold and couldn’t find anywhere to heat it up. Cabin was a bit small, nowhere to put cases. The hosts were unwilling to fix the cold "hot tub", which was our only reason for choosing this property over the others in the area, they refused to allow us to move to a cabin with a working hot tub, despite the fact that we were the only guests on the property. You must climb out door steps in order to access the property and there was no hand rail which, despite being cautious because it was raining when we entered, led to a pretty nasty fall of one of our party. Despite there being no other way to enter the property, the hosts were completely unconcerned when we told them of this issue, nor did they bother to inquire about the status of the one who fell and declined to help us find the nearest hospital. The one who fell broke her arm. Accidents happen, it was their lack of regard or concern that is troubling. It seems that the cabins are a cash cow and the hosts want to nothing other than take your money. The property was clean when we arrived. excellent view from inside the house, great leisure house, campground in front of the house, you don't stay alone, near the river, you could be found this before the night and traveling around there, a horse farm near you, easy to get a photo. 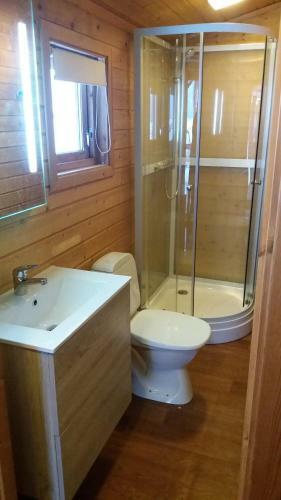 The bathroom had been added onto the end of the closed-in porch so there was a separate door to get the bathroom then you had to make sure the bathroom door was closed so no one could see into the bathroom from outside because there was glass in the door leading to the outside. It was a neat cabin with very little external lighting around so the Northern Lights were very visible. The cabin had a full kitchen and a living room. Very nice.